Each year, America celebrates Independence Day on July 4. 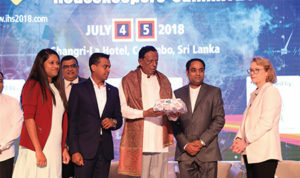 This year was no different except that on the other side of the Prime Meridian, the 3rd International Housekeepers Summit was being attended by over 300 delegates of 14 nationalities at the Shangri- La Hotel in Colombo, Sri Lanka. The celebration by Asia’s Housekeeping Professionals was a two-day event filled with educative sessions, debates, workshop, interesting activities and of course, the 3rd Asian Housekeeping Awards. 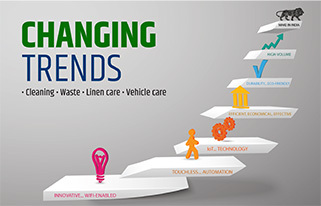 Avril Sule takes you on a journey of the two days of the Summit, which witnessed the coming together of professionals who believe and cherish housekeeping. 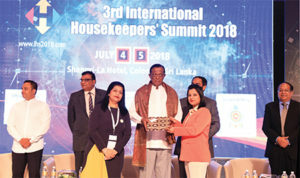 The International Housekeepers’ Summit successfully completed the third edition at Hotel Shangri- La, Colombo, Sri Lanka on July 4 & 5. 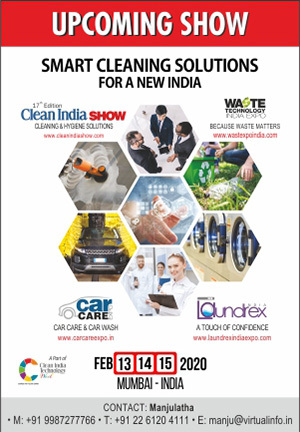 This is the first time, the International Housekeepers’ Summit has been organised outside India, following the first two editions at Mumbai, India, in 2016 and 2017. Based on the theme of “Rekindling Foundations of Housekeeping, Linen Care and Customer Service”, IHS2018 had three generations of housekeepers on a single platform – the hospitality students, the experts and the veterans. 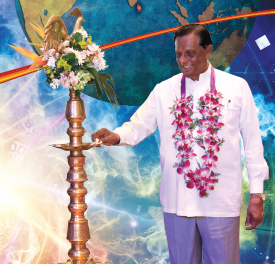 With extensive support from the Sri Lankan Tourism Ministry, Shangri-La Hotel, Sri Lankan Airlines, housekeeping associations from 11 countries, THASL, HPMF, LDAI and 27 partners, IHS2018 was inaugurated in the hands of Hon’ble Minister of Tourism Development and Religious Affairs John Amaratunga along with the AHA members and dignitaries including Hon. Sujith Sanjaya Perara, M.P. Monitoring Minister, Parliament of Sri Lanka, Sannath Ukwatte, Chairman – Mount Lavinia Hotel Group, Colombo, Sri Lanka, M. Shanthikumar, President-City Hotels Association, Ramada, Colombo, Kumar D’silva, Chairman, Sri Lanka Convention Bureau, and Jayaraman Nair, Chairman, Virtual Info Systems Pvt. Ltd, the organizer of IHS2018. 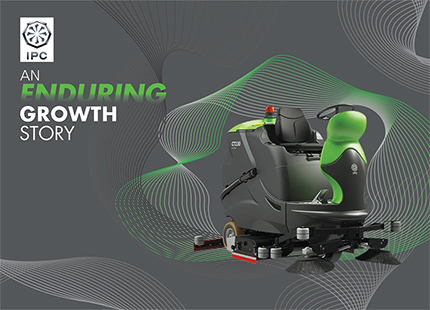 In an endeavour to set new standards for housekeeping, housekeepers and hospitality at large, the IHS2018 also introduced innovative practices in disseminating knowledge. 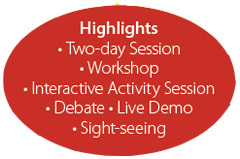 For the first time, sponsors conducted noteworthy, educative and fun-filled activities instead of making presentations. Delegates thoroughly enjoyed the interaction which enlivened the whole gathering. The training session on the second day, in fact was a unique way for doing a workshop. It was filled with practical sessions, videos and also live skit performed by assistant housekeepers. Following the traditional lamp lighting, the minister was felicitated with a shawl and plaque. The Housekeeping association heads presented a token of appreciation to the minister as well. In the opening speech, Jayaraman Nair said, “In any country, hospitality is the most important aspect not only for the development but also to enhance the tourism industry.” Speaking on the past success of the summit, Jayaraman Nair mentioned that having held two editions of the summit in India, bringing IHS2018 to Sri Lanka has been the biggest step forward. Hon’ble Minister John Amaratunga commended the participation of so many countries in the event. He was happy that IHS2018 enabled Housekeepers in Sri Lanka to know about the latest technology and products available in the International market. He expressed the desire to host the summit in Sri Lanka every year. The International Housekeepers Summit 2018 – ‘REKINDLING FOUNDATIONS’ commenced to the strains of an Indian rendition of Dave Brubeck’s ‘Take Five’ heralding the five sessions scheduled for the two-day summit. 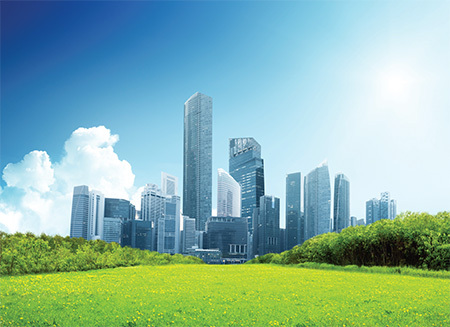 Next: High-Rise Painting How to find the right Contractor?